8 Best Cheap Radios (Under $50)  - Get Them While They Still Exist! I love music much like every other person on the planet. However, at least once a day I like to listen to music which hasn’t been exclusively downloaded by me. I like to turn on the radio and switch between the channels. Research has shown that despite the internet and personalized music players, radio is still extremely popular. So, what better way to tune into the airways than with a somewhat old-fashioned radio. 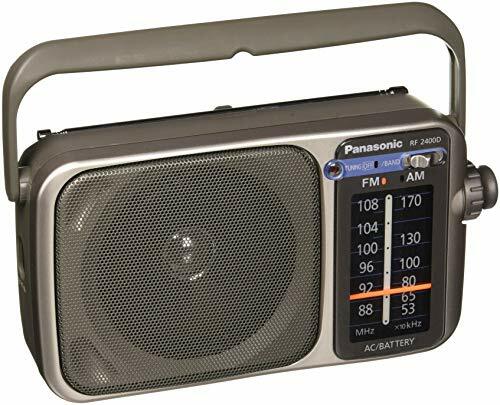 Now, there are a lot of affordable options out there but I found that the best cheap radio was the Panasonic RF-2400 considering the price and quality. Check out the rest of the options here. We’ve limited the products base on price. All the radios cost under $50. The Panasonic RF-2400 is what I bought for my grandfather who longed for something that was reminiscent of an older style. One of the key features on this radio is its simplicity. Consisting of only dials and a switch, it will not take you long to figure out how to master this model. You can choose between AM and FM and can use the knob to scroll past the channels. Each frequency has its own display so there is no confusion. This radio can work plugged into either AC or DC power. If you want to make it portable just slip some batteries in and you are good to go. You’ve got a handle to assist you with carrying the radio around. The speaker on this is nice and big and produces crystal clear sound. There is also an option for you to plug in your headphones and listen through those. If you're looking for the best radio under $50, you should be quite pleased with this one. This is the radio that I own. This is the best cheap radio if you are looking for the best of both worlds – the old and the new. The only downside of this model is that it only has FM radio. However, as that is the preferred frequency, this is not much of a letdown. This radio uses buttons instead of dials, allowing you to punch in the channel number directly. Of course, you do have a search option as well. The LED display makes it easier to see what you are doing. There is also a built-in amplifier which produces a much louder sound than you might expect. However, you can also use earphones if you want. There is also an USB feature which means you can hook it up to a USB drive to play your own music. This is ideal if you want something that you can just slip into your pocket and walk around with. The whole point of this radio is for it to be as portable as possible and in this regard, it succeeds. It is very light and you will not feel the weight as you carry it around. There are also just a few controls on this radio so it can be used quite easily. 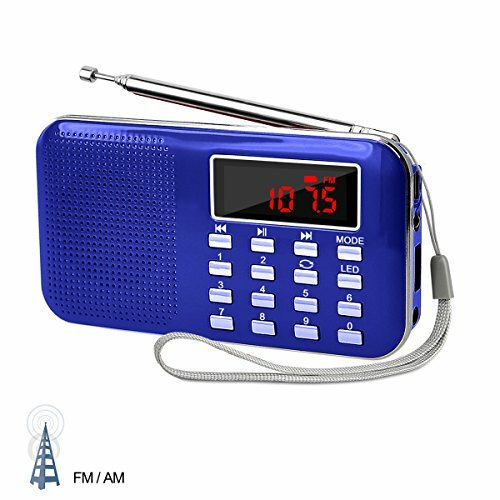 You can choose from AM or FM frequency. For AM, the range is from 530 KHz to 1600 KHz. For FM, it is 87 MHz to 108 MHz. You can tune the radio with the dial and the LED indicator will allow you to see your efforts for both AM and FM independently. Despite its small size, this Kaito produces a sound that may not be the loudest but is quite clear. 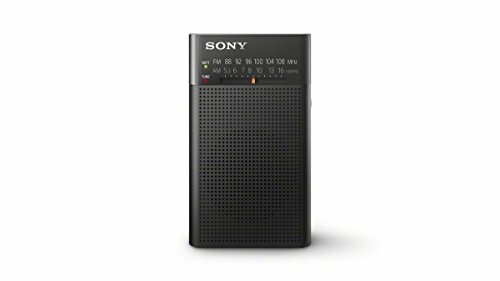 If you are looking for a fuss-free, then you will be hard pressed to find a radio that is as simple to use as the Sony ICFP26. Don’t expect anything too modern, however, as this radio is strictly old school. You’ve got a switch for the band and a dial for the tuning function. The FM and AM frequency bars are displayed beneath one another. 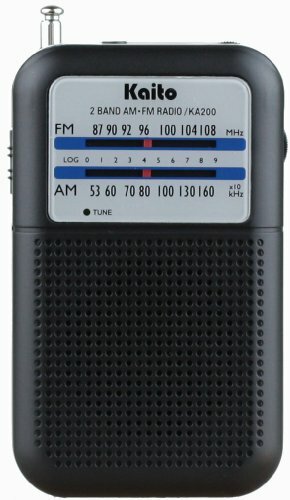 While this might be an old school radio, it is still quite powerful. 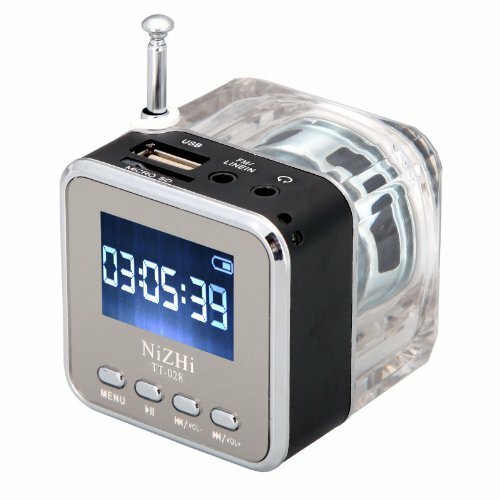 Run off two AA batteries, you will be able to get whatever radio frequency that you are looking for. As an added bonus, the speaker is also quite good, producing a high-quality sound. Depending on the earphones that you plug in, you can get equally great sounds through your headphones as well. It is difficult to believe that the Supersonic SC1082 gives you so many options to choose from. First, you can choose between AM, FM, and shortwave, which is not something that many other radios let you do. There is a nice, big display so makes skimming through the various channels that much easier for you. If, after a while, you are looking for a change of pace, well, you can have that too. This radio is compatible with memory cards and has a USB port as well. This means that you can listen to other music as well, just as easily. You also get a lot of control as you can play, pause, repeat, and do much more. 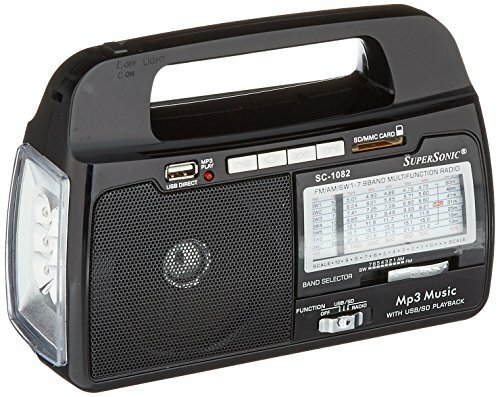 This is actually a great radio to take with you on a hike or a picnic. In particular, because it comes with its very own flashlight! As long as you use all of the features smartly, you will be able to make your batteries last quite a while. I believe Lefon digital radio is one of the best cheap radios because it makes it so fun to listen to the radio. The entire layout of this radio encourages you to use it. First of all, it is almost completely digital. This makes it a lot less alien to those of the younger generation. Also, as it involves buttons and a LED display, it is easier and quicker to use than many other non-digital options. It is also capable of remembering the stations that you listened to. This saves you the trouble of having to scan stations each and every time that you use the radio. You can also use an external pen drive via the USB cable. This radio is also compatible with memory cards. What surprised me most about this radio was the sheer volume that was emitted! This certainly has a lot of power for its size! 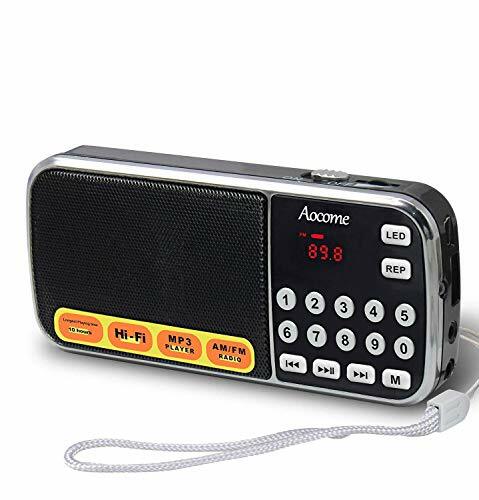 This Aocome radio has one thing that many other radios don’t have – rechargeable batteries. This radio uses lithium-ion batteries that can be recharged by plugging it into a laptop or even a power bank. This is quite impressive considering the price of the radio. This will save you a great deal of money in the long run as you won’t have to keep buying batteries. I also like the fact that it is simply a matter of punching in the numbers on the buttons rather than having to scroll through all of the stations. The speakers are high quality, producing perfect sound. Another benefit of this radio is that it can be used with a pen drive via a USB cable. You can also place an SD card to listen to music through the speakers. This is undoubtedly the most futuristic looking radio on here. It is also one of the most compact. Although it looks like nothing more than a cube, this little radio actually packs quite the punch, especially looking at its price tag. You will be able to tune into most of the channels that you are looking for. I say 'most' because this radio only supports FM. When you consider all of the advantages that come along with it, however, this fact will not be such a hardship. It uses rechargeable batteries which give you the opportunity to save even more money. You can also plug it into mp3 players, phones, and even laptops and play music from there. It also supports an SD card. As an added bonus, there is a flashing light that accompanies your music. If you are going to be purchasing a good radio under $50, you need to know what to look for. As you may have noticed from the list above, there are a lot of different types of radios to choose from. 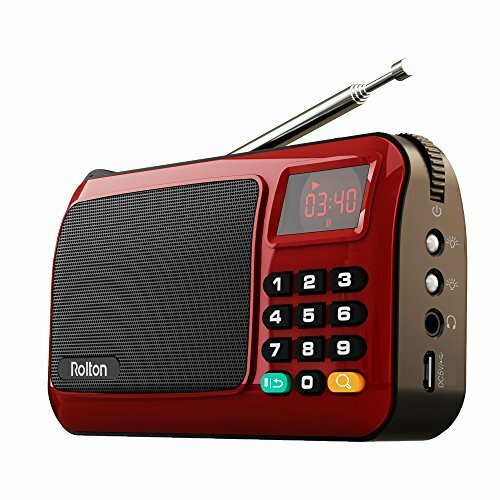 These days, the most popular types of radios are either FM radios or DAB radios. However, as DAB radios are more expensive and produce lower quality, it is best to stick with the FM versions. A good first step towards buying the right radio is to determine the purpose of the radio. For instance, are you purchasing one so that you have something to tide you over in emergency situations such as a storm? If so, think about getting a radio that can run – at least partially – off batteries. This will help you out in case there is a power outage. This feature, as well as the size, will also help determine the portability of the radio as well. If you’re only planning on using it for recreational purposes, then one that needs to be plugged in all the time is fine. In terms of batteries, most radios will require the regular ones to power it through. There are some newer radios, however, that can use non-rechargeable batteries instead. This will override the need for you to keep buying batteries but you will have to make sure that the one that you have is adequately charged. The final thing that you will need to consider are the various added features on the radio. Most modern radios can be plugged into mp3 players, phones, tablets, and laptops. These are also compatible with SD cards so that they can play music independently. Some of the other bonus features that may be available include alarm clocks and flashlights. Typically the radios that have Bluetooth features will cost you a little bit more. Great article! I love cheap radios too and collect them. Your information is very good- just one thing: The USB ports on the Chinese radios are used for thumb drives that have mp3 files on them directly. The USB ports are not used for attaching other electronics. FYI the reason they sound so good and loud is the little digital amp.It puts out 3 watts. All the little radios made in China use them. They also have high tech aluminum speakers. They sound so much better than even the best transistor radios from my day. Thanks for the tips! We’ve updated the article accordingly.